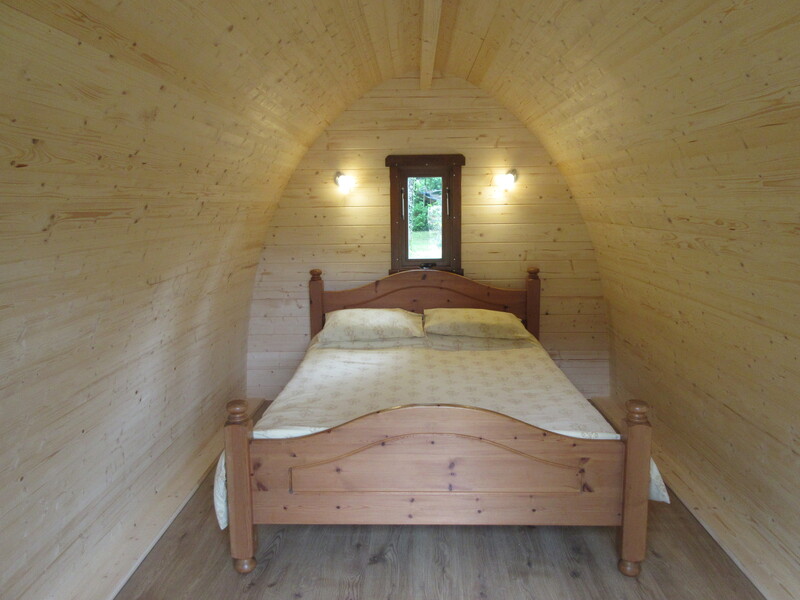 New Log Pod, available now! We are very excited to announce the arrival of our new Log Pod here at Camping Maisonneuve! Available immediately from €45 per night or €300 per week, more information can be found here. This entry was posted in News on June 14, 2015 by campingmaisonneuve. We have been busy working on our website here at Camping Maisonneuve. We now have the German language site up and running at camping-maisonneuve.de. Wir haben fleissig an unserer website gearbeitet hier auf Camping Maisonneuve. Nous avons été occupés à travailler sur notre site ici au Camping Maisonneuve. 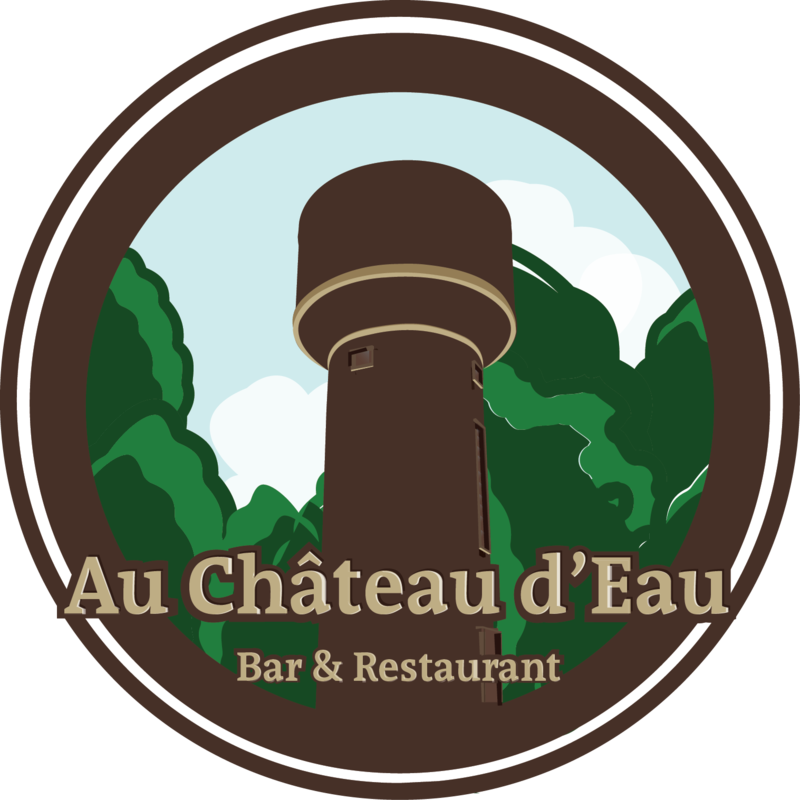 Following hot on the heels of our revamped Camping Maisonneuve logo, we now have an all-new logo for our Bar & Restaurant, Au Château d’Eau. It was designed to compliment our main logo, to be recognisable as our brand, but also to be able to stand out on its own. The restaurant itself is next inline for a bit of a makeover, we’ll keep you posted here and on our Facebook page. We’ll be getting our new signage made up soon, so watch out on the N21 (between La Coquille and Thiviers), and on the D98 for our swanky new signs shortly! It’s great news that Le Tour de France is coming to our region this summer. And wow, such an important stage! Stage 20, the penultimate stage, will be an individual timetrial starting in Bergerac and winding its way to Périgueux through some stunning Dordogne scenery. It promises to be an excellent day, with the real possibility of shaping the final podium on the Champs-Elysées in Paris the next day. Périgueux is only 45kms from Camping Maisonneuve – why not book a little time off, bring your bike over to France, enjoy some time exploring the multiple cycle paths we have nearby, and spend 26th July in Périgueux witnessing the magic of Le Tour first hand? We will also be showing each stage of Le Tour on the big screen in our bar and restaurant, Au Château d’Eau. 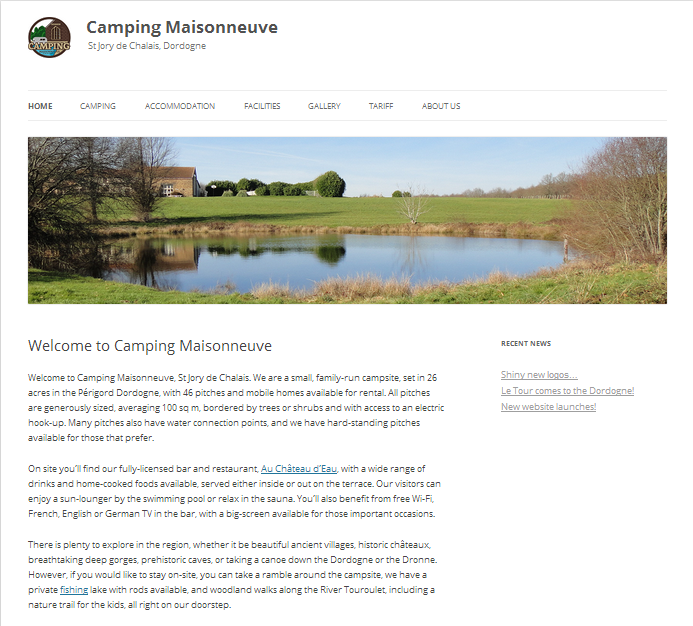 Here at Camping Maisonneuve we have been busy working away on our new 2014 website. We’re very excited, and will continue to evolve the site as time allows. We are working hard to get the French, German and Dutch language sites up and running as soon as possible. It’s a fully responsive design, so it is optimised to work not just on desktop, but tablet and mobile screens aswell.